Kickoff Mother's Day Weekend at Nashville Zoo! Join big and little Bobcats alike for a fun morning at the zoo. We'll say a quick hello to all our Bobcat friends and then spend a fun morning taking in all the zoo has to offer! Bring your mama, tiny ones and all your friends! We'll see you at the the zoo! Our most popular event of the year is back! 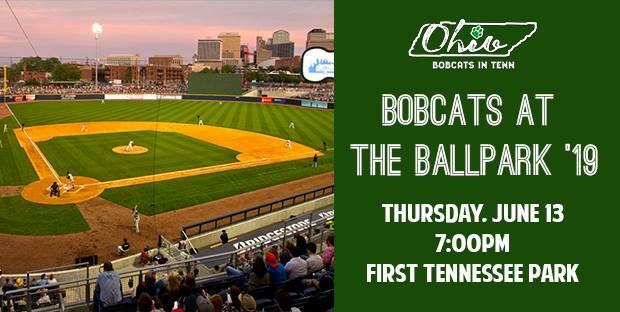 Bobcats at the Ballpark '19 will be Thursday, June 13th at 7:00pm. We will be cheering on the Nashville Sounds in the all-inclusive and private Bud Deck again this year with views over the first baseline. This comes with a buffet and unlimited beer up until the 6th inning. Join your fellow Bobcats for just $30/ticket.